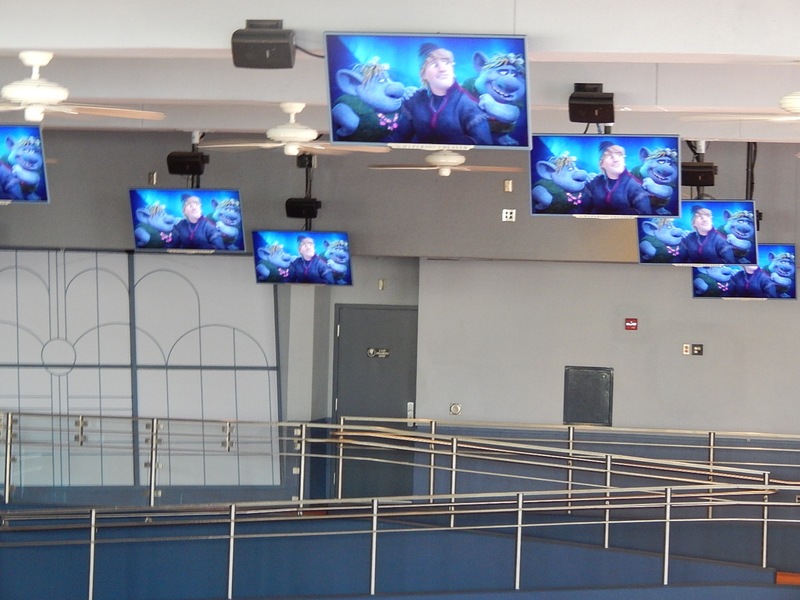 Despite many online theme park fans being tired of Disney’s Frozen franchise, the general public can’t seem to get enough of it. 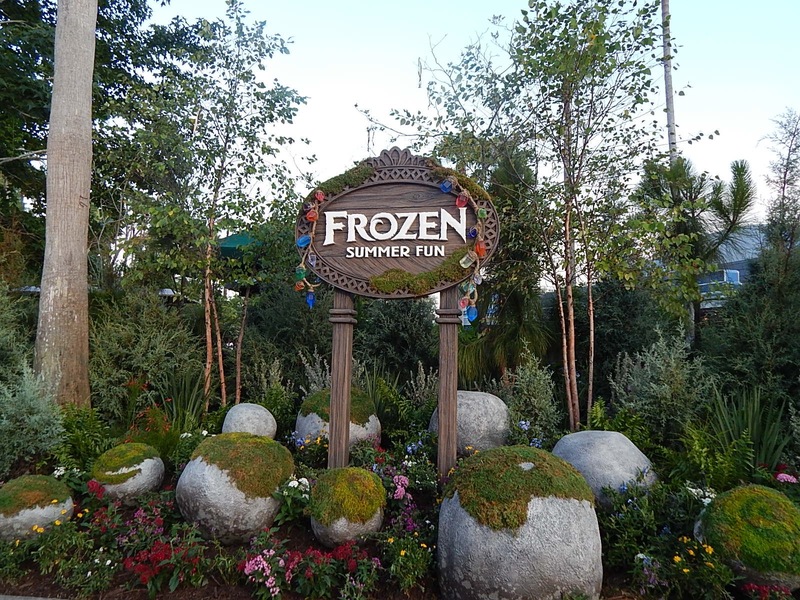 Back for a second year is Disney’s Frozen Summer Fun promotion at Disney’s Hollywood Studios running June 17 through September 7, 2015. 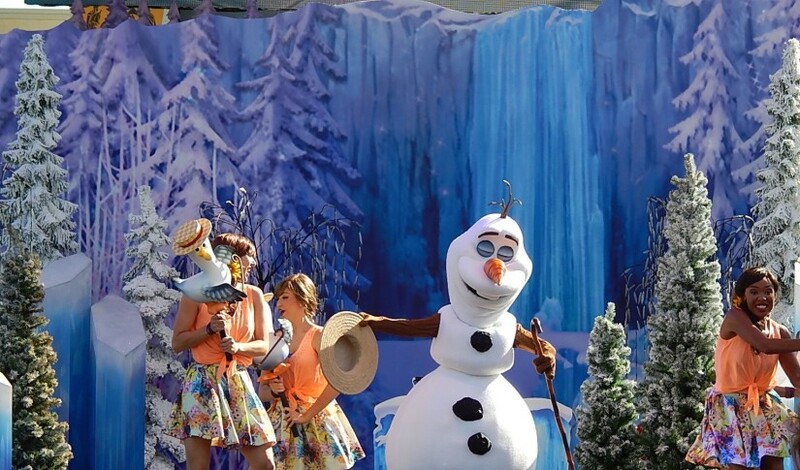 In 2014, Frozen Summer Fun was so popular it was extended a few weeks and the Frozen Sing-A-Long show become a permanent fixture in the park. This year, the offerings have changed a bit due to the impending construction of the park (more on that in a future article). 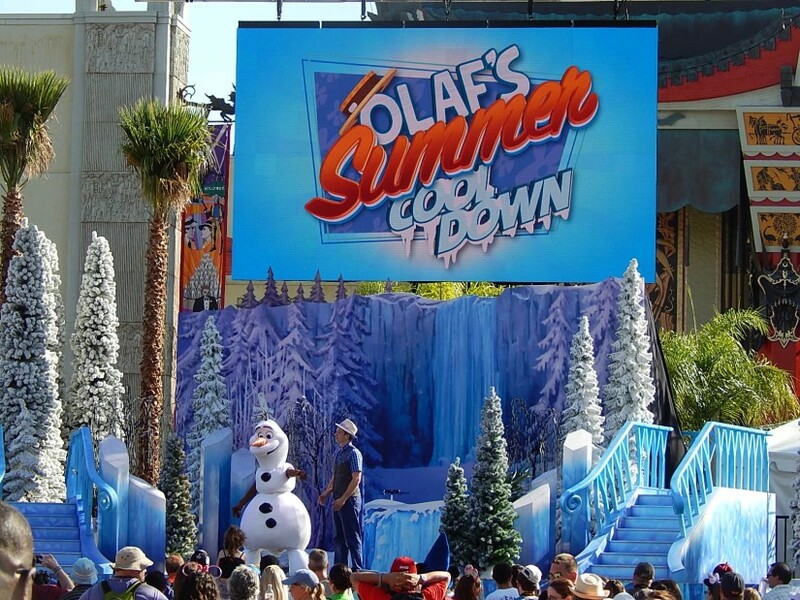 New this year is Olaf’s Summer Cool Down show at the end of Hollywood Boulevard. 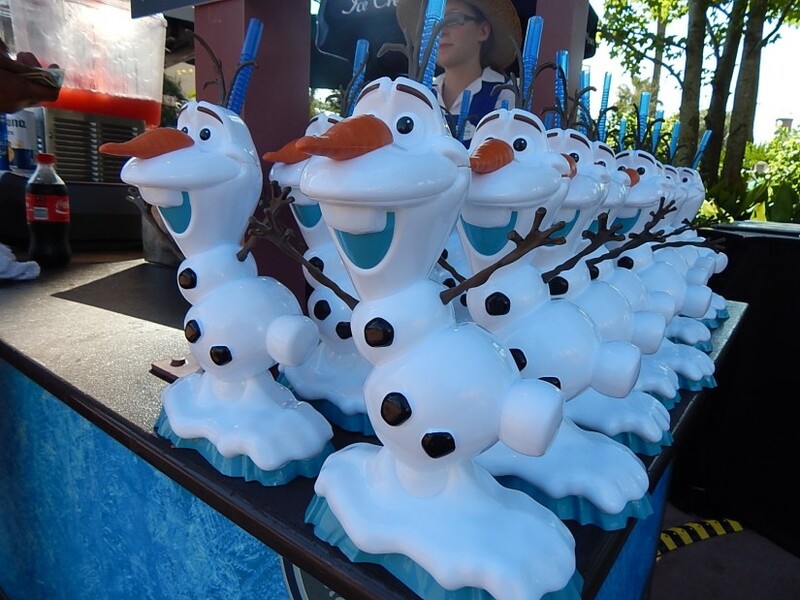 The Olaf character is an articulated figure complete with eye and mouth movement. As you’d expect, the show is about what Olaf enjoys doing most “In Summer”. 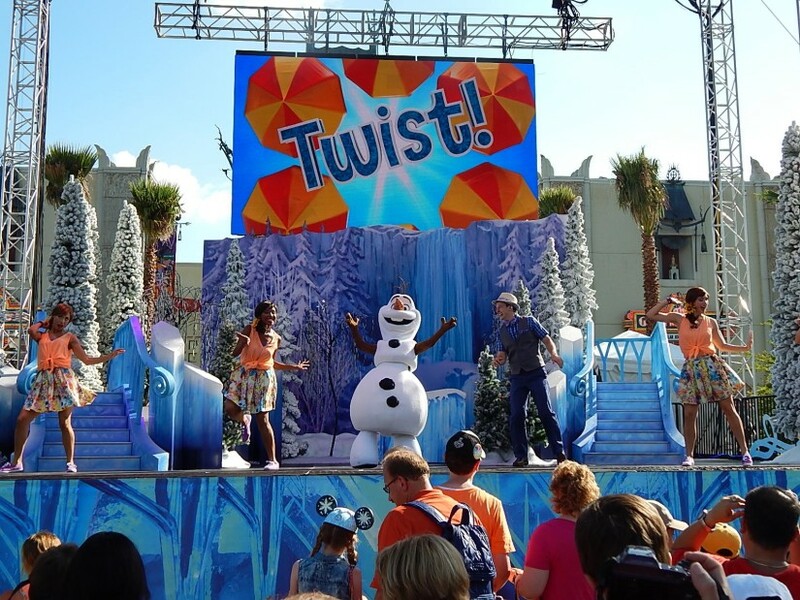 The show only stars Olaf and features a narrator and dancers who do routines that the audience is encouraged to dance along to. The show’s finale featured CO2 cannons that blasted the audience with cold air. Check out the video! 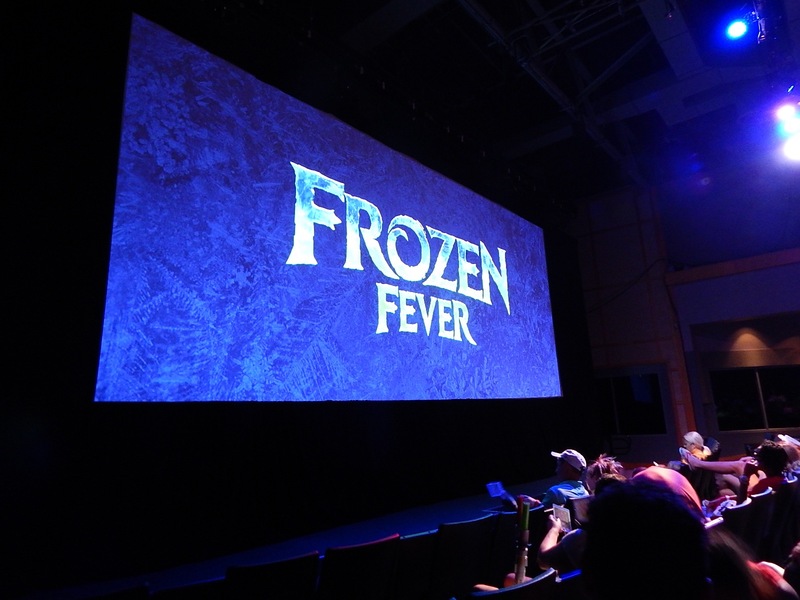 Over at the ABC Sound Studio theater, “Frozen Fever” was playing every thirty minutes. This is the same short which aired before the new live action “Cinderella” movie seen in theaters Spring 2015. Before the short started, audiences were treated a brief behind-the-scenes intro and a trailer for a new Disney short films DVD/Blu-Ray. 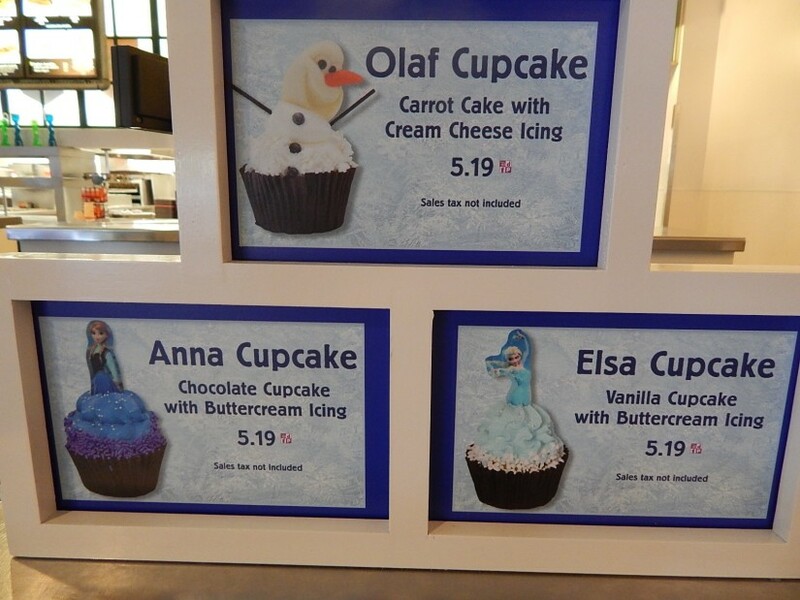 Needless to say, there are Frozen themed food and beverage offerings scattered around Disney’s Hollywood Studios for Frozen Summer Fun. 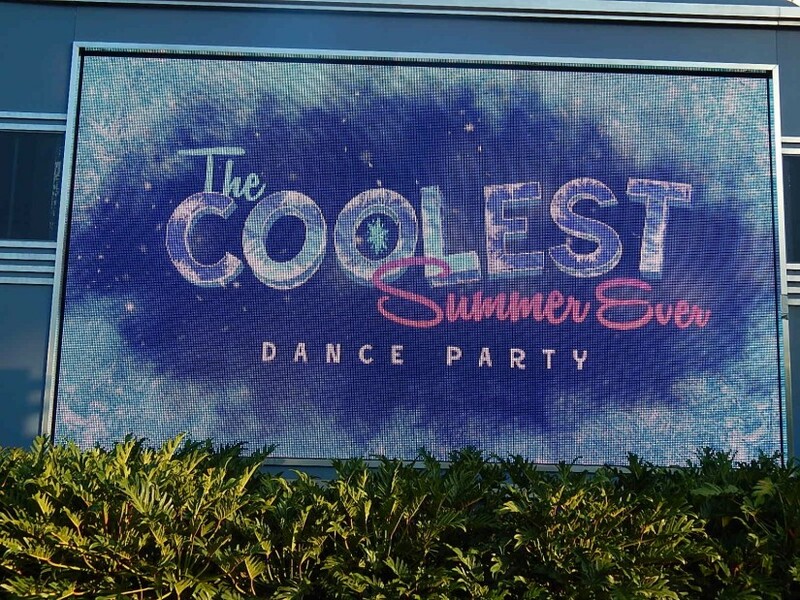 Starting in the evening is the Coolest Summer Ever Dance Party hosted by DJ Chill. 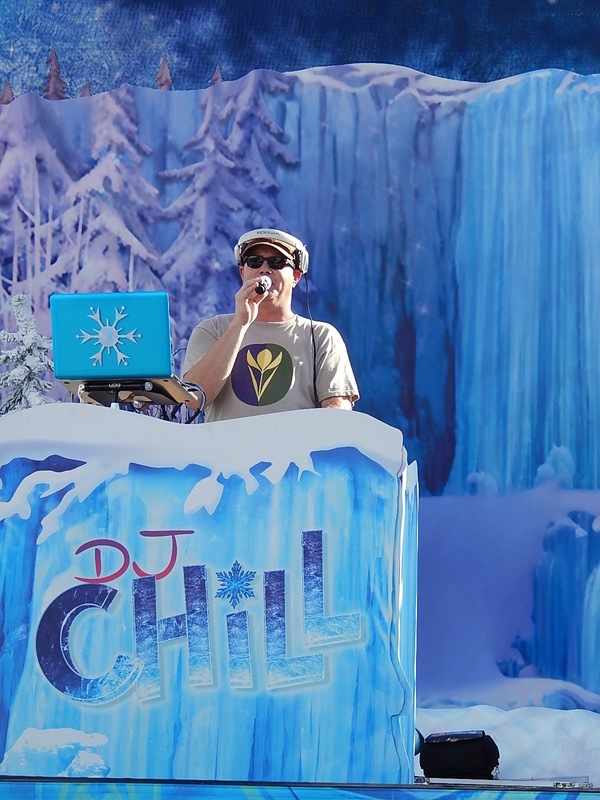 The crowd was eating up the mashups he did of Frozen songs with Top 40 hits. This guy is Disney’s premier DJ and with good reason. He’s insanely talented. 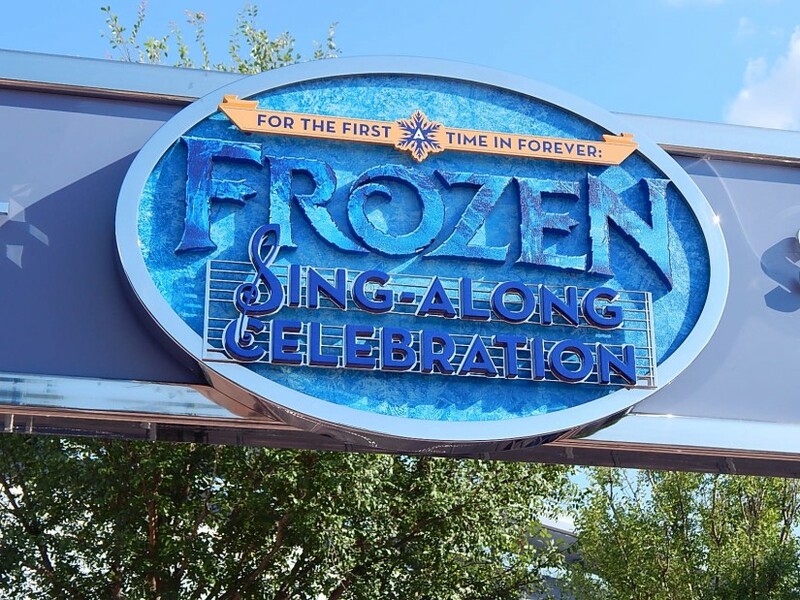 Finally, the Frozen Sing-Along Celebration has moved from the Premier Theater in the back of Disney’s Hollywood Studios to the Hyperion Theater near The Great Movie Ride. 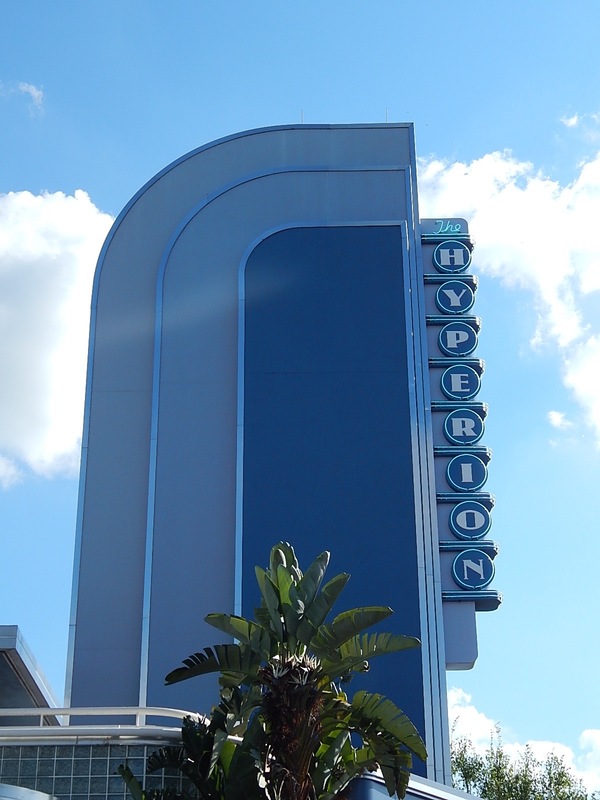 That’s right, I said the Hyperion Theater. 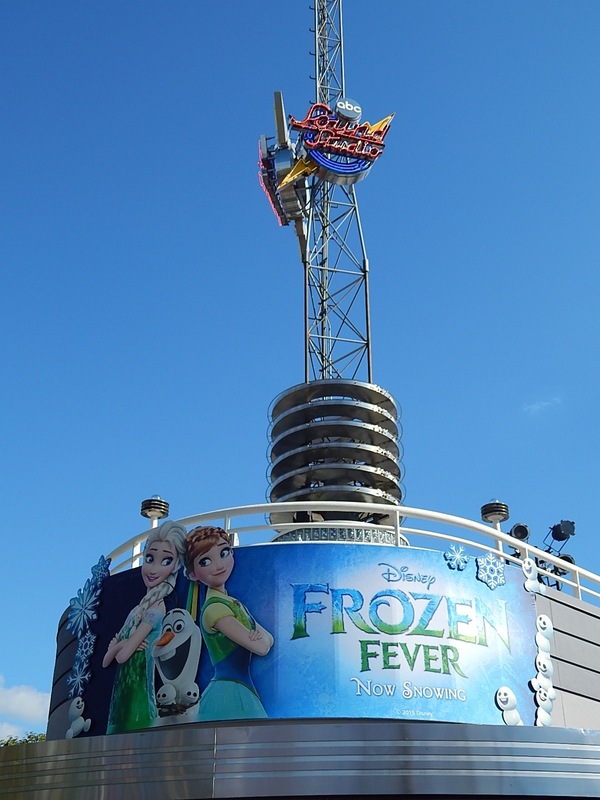 This is the same building that last hosted The American Idol Experience and has gone through several name changes including the Superstar Television Theater, named for the first attraction that resided within when Disney/MGM Studios opened in 1989. Is it the same show? Yes and no. The format, outline and script of the show have been left unchanged. However, this theater has been equipped with some new special effects. 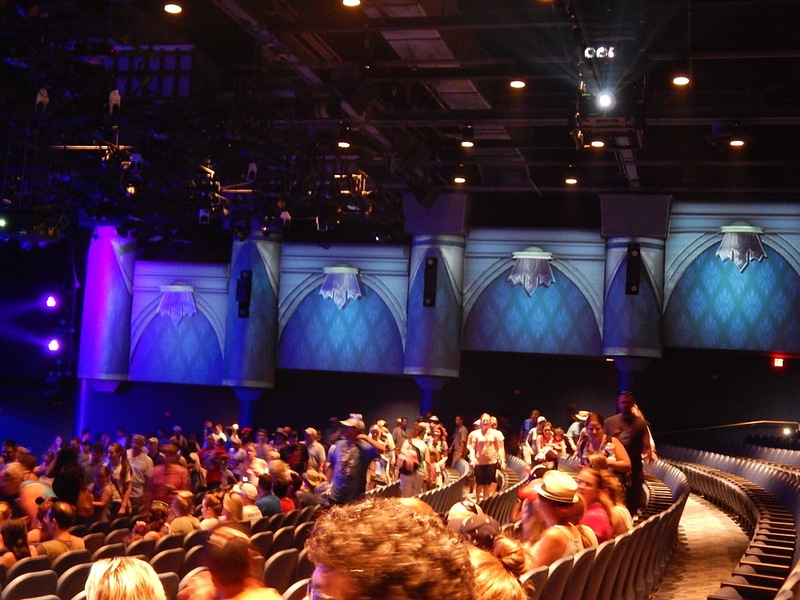 Most notably are the walls of the auditorium which now feature projection mapping to match the action on stage. 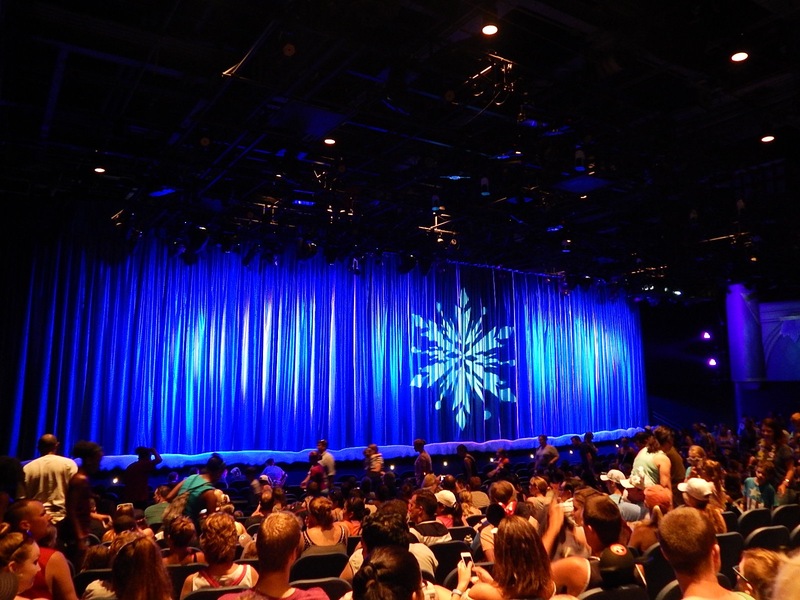 Say what you will about Frozen being overhyped and overplayed, but after seeing the Frozen Sing-Along several times now (I am not that big of a fan either), guests undeniably love the show and even give it standing ovations which is unheard of in theme parks. What makes the show tick are these performers. Skilled improv players who make the show fresh and understand “the miracle of the first time” every single time. 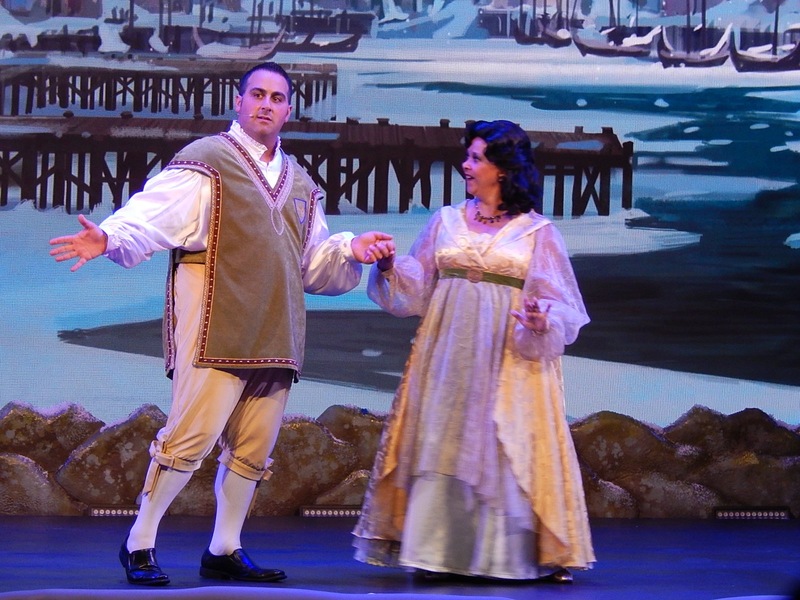 Very few shows can pull off having children and parents genuinely laughing out loud simultaneously, but it happens throughout the performance. Bravo. Watch the video above and you’ll see kids and adults belting out the lyrics. You can also see both kids and adults throwing their hands in the air like Elsa does in the movie. No matter what you personally think of Frozen, the public is still undeniably eating it up. 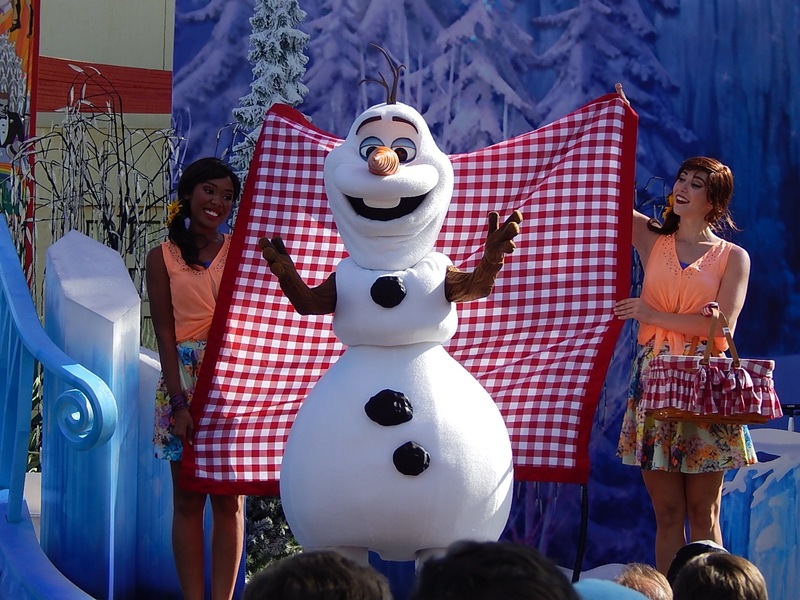 No doubt, the Frozen Sing-Along show will be around for years to come, but there is something more important here. What does this theater move mean and why? We will discuss that in our next article. Meanwhile, make sure to follow Theme Park University on Twitter and like our Facebook Page. If you’re doing any online shopping, click any of the Amazon links on this page and it helps TPU pay the bills. Thanks! 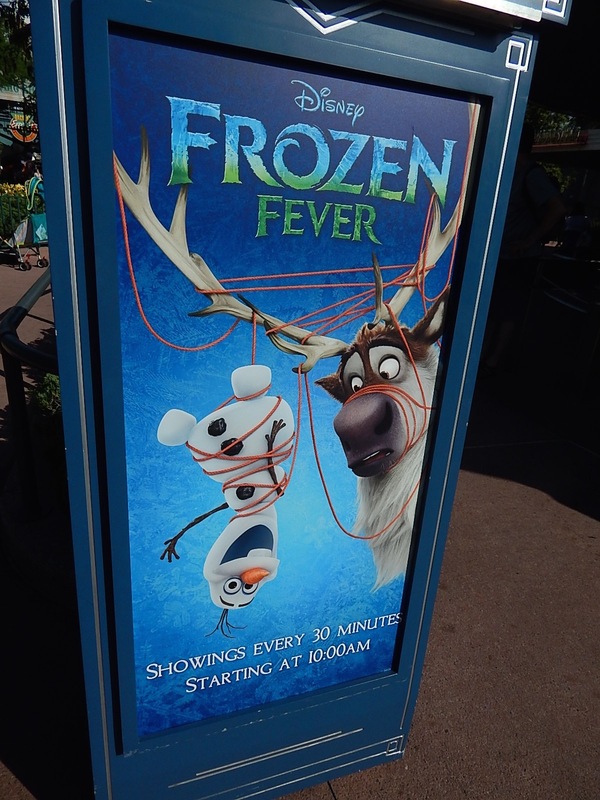 This entry was posted in Disney and tagged Frozen Fever, Frozen Sing-Along, Frozen Summer Fun, Olaf's Summer Cool Down. Bookmark the permalink. Trackbacks are closed, but you can post a comment. I’m sure the show will be around for a few more years, before they put in Star Wars Land. The Hyperion Theater name sounds like it was taken from California Adventure. Maybe it will become the Jedi Academy in the future. neat! i got to check it out today. I caught the tail end of the new show and I loved the cannons at the end! it felt great on a hot day. I love the projection mapping for the sing along. ….now I’m anxious for the article about the plans for hollywoodstudios. when is that article coming out! I’m dying! !